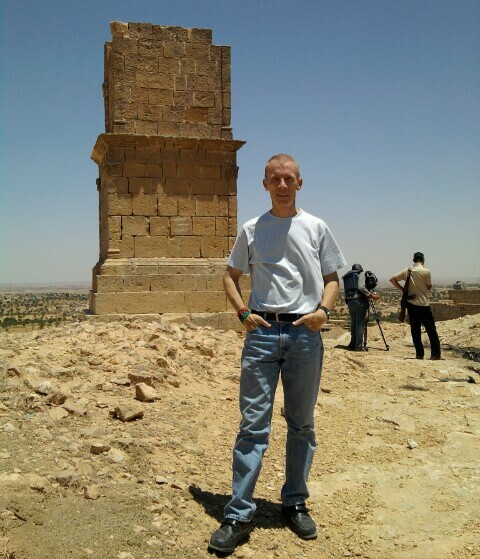 James Wheeler standing in front of Roman ruins at Siffeet. 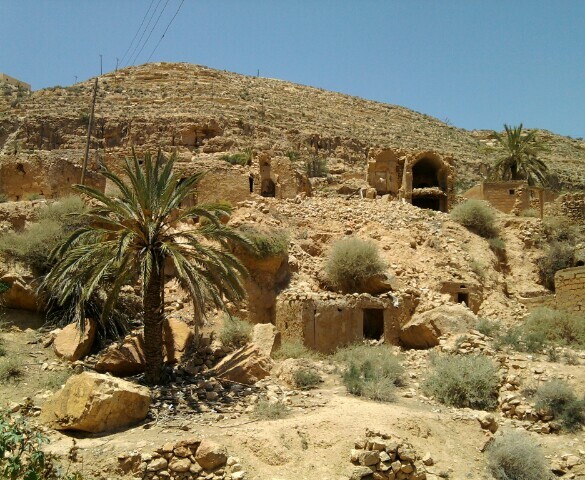 Western Mtns (Nafusa). Siffeet. The damage at top of this Roman monument is all too recent. Courtesy of Gaddafi. 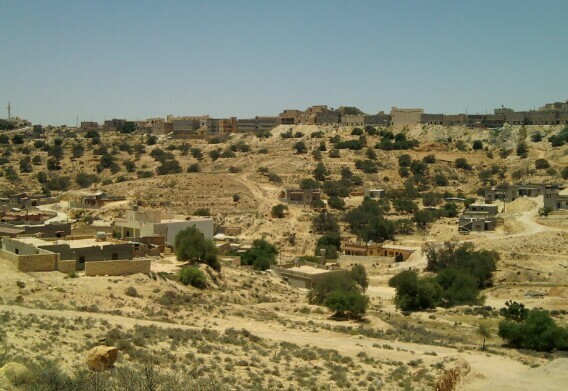 Western Mtns (Nafusa). Drive from Yefren to Qalaa. Yefren. 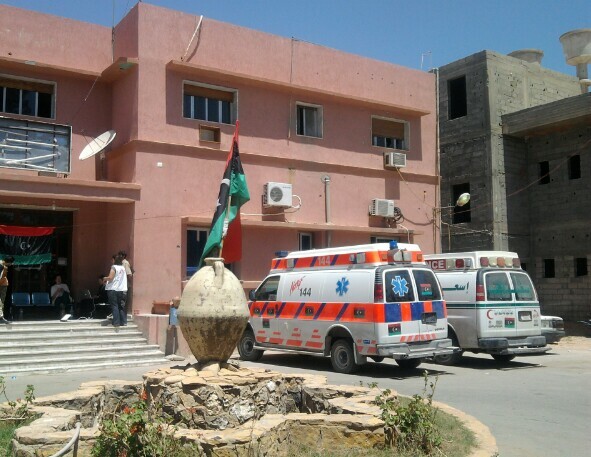 A view of the hospital entrance mid-day. Except for FFs, vistors outnumber town residents. 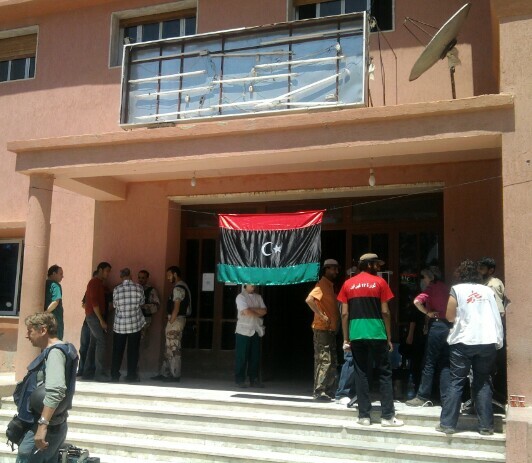 Yefren Hospital entrance today. Lady on right in white vest is with French Doctors w/out Borders (MSF). She's been here a week. 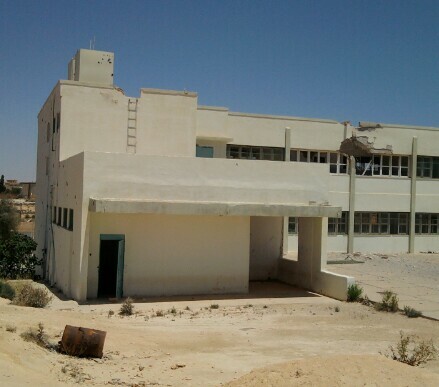 Yefren school where Gaddafi forces stayed. Major damage mostly from Grads. Qalaa. Awesome scenery near a location where we met up with some local freedom fighters. 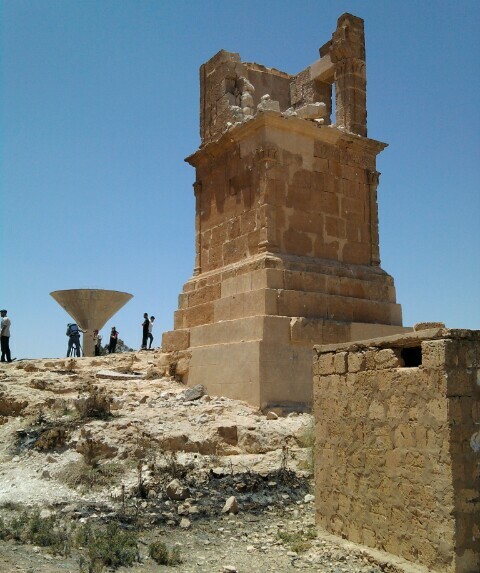 Siffeet (near Qalaa). 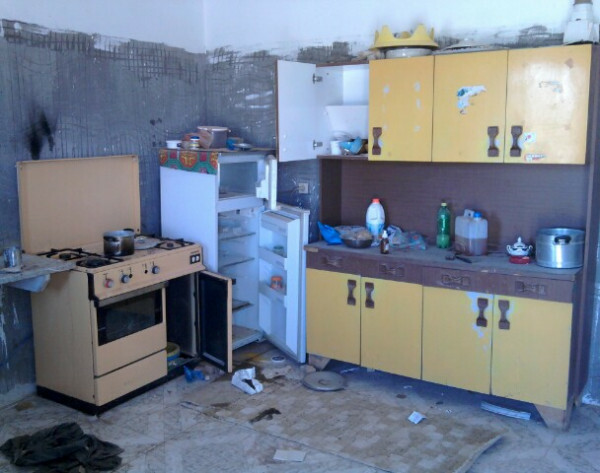 The kitchen in the house Gaddafi forces took over. Siffeet. 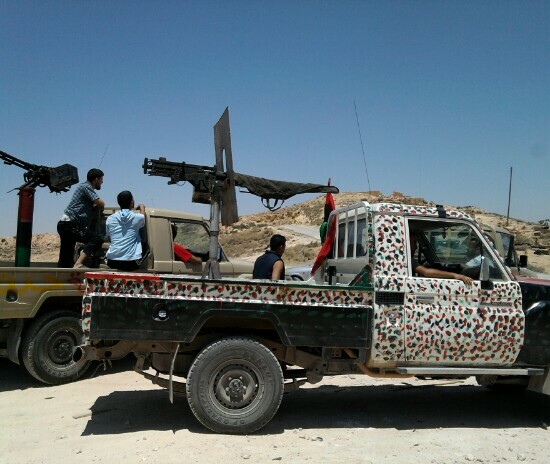 Some freedom fighters at a ruined Gaddafi tank next to Roman ruins. Qalaa. 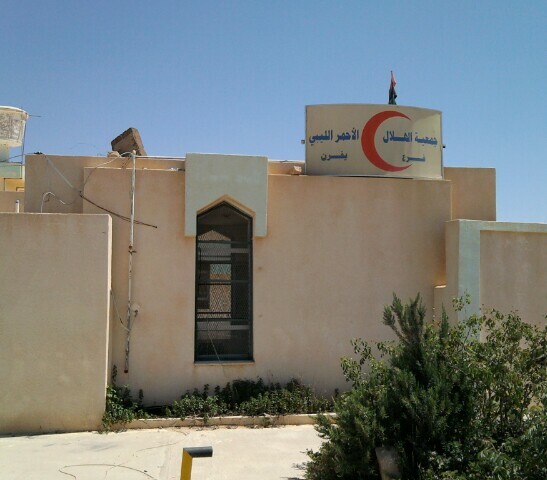 Libyan Red Crescent building. Not controlled by Tripoli. Stopped by with Qalaa and Zintan FFs. Siffeet. 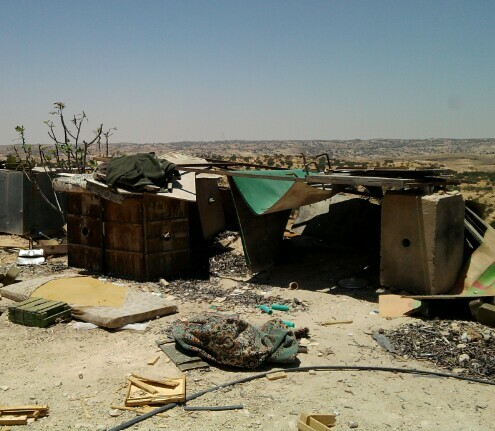 Great vantage point for Gaddafi forces until they were cleared out last week. Lots of casings left. Siffeet. 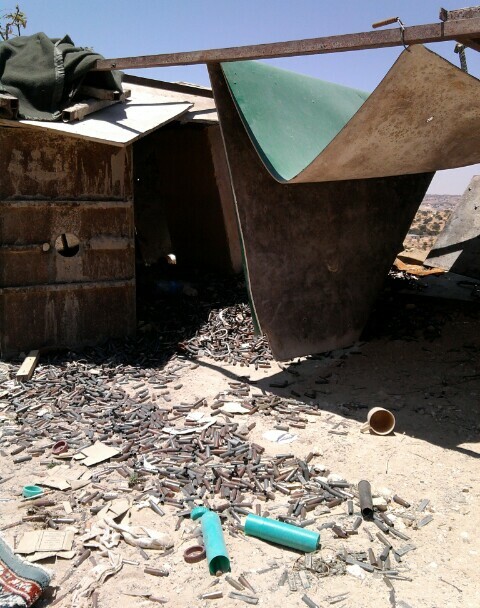 A close up view of casings and lean-to's left by Gaddafi forces.